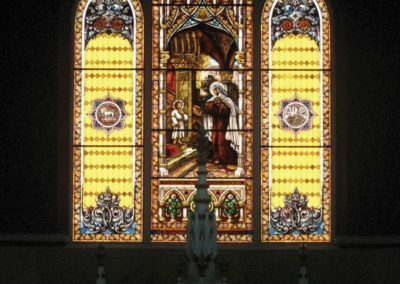 To restore the beauty and inspiration of hurricane damaged stained glass at St. Theresa of Avila Catholic Church, New Orleans, LA. 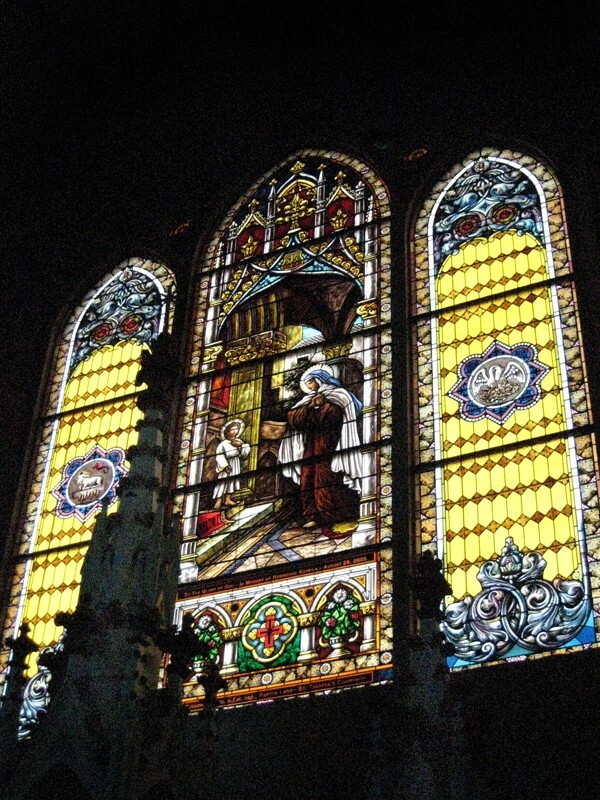 One of the oldest churches in Louisiana, St. Theresa’s dates back to the mid-nineteenth century. 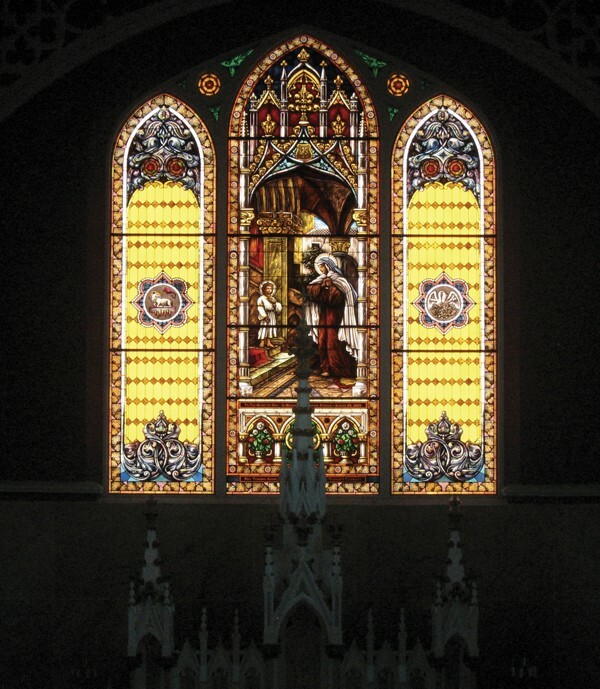 Artists from Conrad Schmitt Studios re-created the glass artistry and re-engineered the framing support system of the triple lancet window above the altar depicting St. Theresa with Jesus. From the painting of glass to construction of the windows, CSS ensured the successful recreation of St. Theresa’s cherished stained glass. Rooted and strengthened by their house of worship, the new stained glass creation has become a beacon of their community’s strength and perseverance. Hurricane Katrina inflicted severe and widespread damage upon the U.S. Gulf Coast. Artists and craftsmen from CSS have aided the restoration of New Orleans, helping to lift the pall of destruction from the city’s Church. The once vibrant structure has witnessed the first glimpse of a comprehensive renewal. Despite the many months of work left ahead, the hands of CSS artists and craftsmen and the Church community’s perseverance have restored to St. Theresa of Avila Catholic Church their beautiful house of worship.